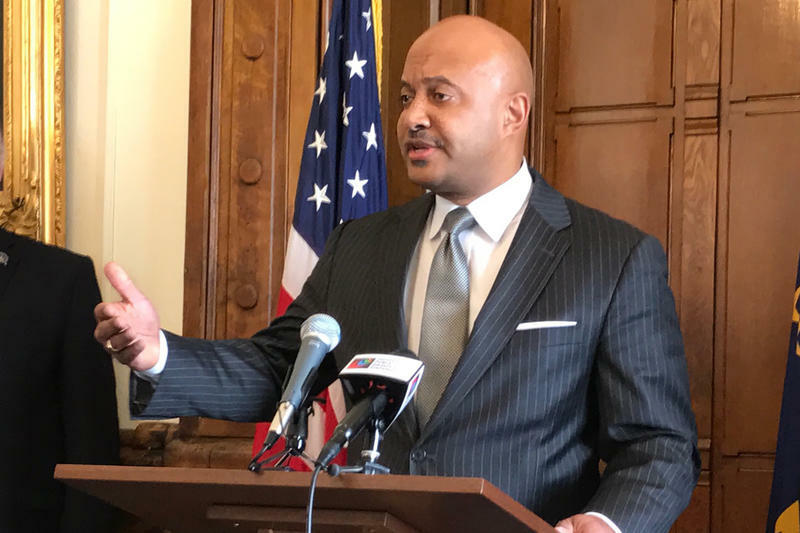 Attorney General Curtis Hill has been accused of groping four women – three legislative staffers and a lawmaker – at a post-session party in March. Republican legislative leaders Brian Bosma and David Long initiated an investigation into the allegations after they learned of them in May. It concluded the legislature had no liability as a result of Hill’s purported actions. Hill denies allegations, and in a statement, he questions the fairness of an investigation initiated by legislative leaders into the accusations. Hill says no one ever contacted him during that investigation, he doesn’t know who’s accusing him, and legislators denied him access to a report on the investigation. In an updated statement, he stresses he won't resign. And he calls an internal legislative investigation into the allegations against him "prejudicial." Gov. Eric Holcomb applauded legislative leadership’s reaction to the allegations in a statement released Tuesday morning. “We took great care to update our sexual harassment policies for the executive, legislative and judicial branches in the past few months. No one should be subjected to unwanted sexual advances," Holcomb said in a statement. Holcomb is currently on vacation in a remote area of Montana, and says he won't comment further until he's back in Indiana on Wednesday night. The governor signed a law in March mandating sexual harassment training for all employees of Indiana’s executive and judicial branches. Indiana Democratic Party Chair John Zody says Hill should resign. He calls the allegations “beyond troubling and wildly inappropriate.” He says they raise questions as to whether Hill can still do his job. Holcomb would appoint Hill’s replacement if the Republican Attorney General resigns.